Michelle is going on almost 30 years now training animals in a zoological setting. She began her career at a facility called marine World Africa USA, training predominantly tigers. She joined Disney in 1998 and in 2001 became a Zoological Manager of Behavioural Husbandry. 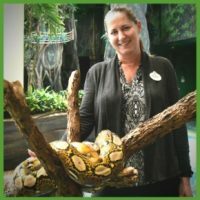 In this role she supports the animal care teams at Disney’s Animal Kingdom with maintaining training and enrichment programs for all species under their care. Along with her special interest in tigers Michelle has a passion for training reptiles large and small. 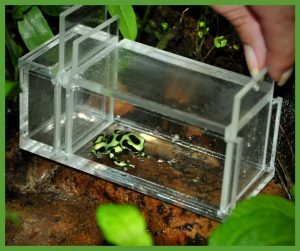 Currently she sits on the AZA (American Zoological Association) Professional Development Committee and is co-course administrator and instructor for the AZA Professional Course: Environmental Enrichment in Zoo and Aquarium Settings. Love this!! Great job, Michelle! !